Clearly, Chael Sonnen (Pictured) has his sights set on a rematch with middleweight king Anderson Silva. However, Vitor Belfort has also made no qualms about his desire to set Sonnen straight. In addition to issuing a loser-leaves-town match to Silva, the controversial wrestler addressed Belfort’s recent remarks and decided to make “The Phenom” part of his post-fight rant. 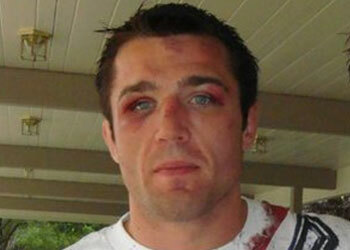 “I forgive Vitor, he’s a fool,” Sonnen stated after beating Brian Stann at UFC 136. “He knows not what he says. You can’t hold a fool accountable because he got a little stupid in the media one time. Belfort was slated to face Cung Le at UFC 139, but was forced out with an injury. He was last seen putting Yoshihiro Akiyama to sleep at UFC 133 in August. As for Sonnen, it appears that it’s Anderson Silva on Super Bowl weekend or bust.